Spacious, special and spectacular, SQUARE offers 13.000m² for international congresses, conferences, European summits, conventions, product launches, corporate events, awards ceremonies, gala dinners, fashion shows, exhibitions.... In this document, you will find general information about SQUARE: our location, our services, our spaces and also our contact information. A full range of stylish custom-designed uniforms is available, a large choice of outfit and scarfs allows you to reflect your image and the tone you want to set for your event. You will find in this document “Audio visual equipment 2018” : the equipment installed or possible to install (in a standard way) per room, with the first column: Integrated in the room, and the second column: Included in room rental. This document contains the capacity chart and the positions of each room in SQUARE’s building. 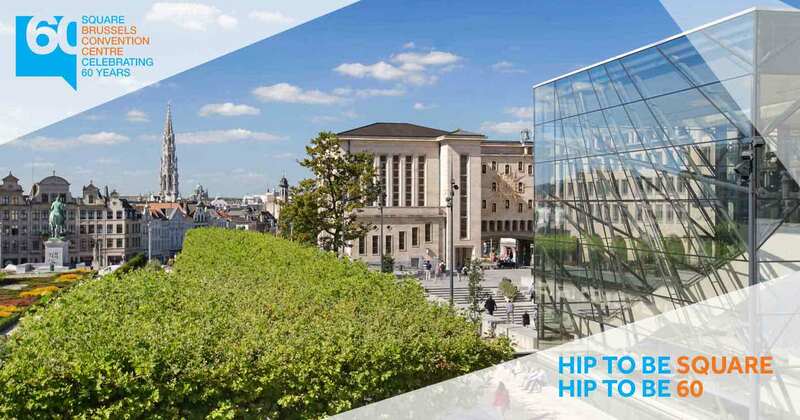 SQUARE-BRUSSELS MEETING CENTRE features 2 levels of exhibition space, 5 levels of convention and entertainment spaces, from level -2 to level +5. Each floor is easily accessible by elevator and stairs. Click here to view the GL events brand guidelines. 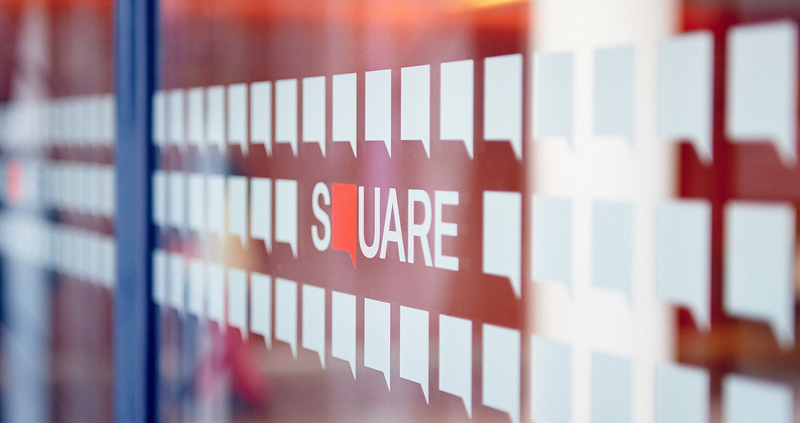 This guideline defines the basic rules of how to reproduce the SQUARE visual identity. Please use the logos which can be downloaded from the Media Library section. SQUARE offers 5 auditoria (Gold hall for 1,200 people/Copper Hall for 500 people/Silver Hall for 300 people/The Arc for 150 people/Henry Le Boeuf for 2100 people), 7 halls (Grand Halls, Panoramic Hall, Hall 100, Hall 300, Hall 400, registration hall), 25 studios from 2 to 200 people and Foyers with Magritte and Delvaux original features. The signage book gives you ideas on how to personalise your event and create the most visually impactful solution, in line with your needs: from consulting, design & graphics, producing & printing until set up. We also offer a great selection of furniture and decorations for your upcoming event! In this technical sheet, you will find all the details about The Arc: total capacity, total surface(height, length, width), built-in equipment (stage, rigging, drapery, seating, electrical connections, translation booths), audiovisual package (light, sound, video, audiovisual staff), etc. In this technical sheet, you will find all the details about our studios: total capacity, total surface(height, length, width), built-in equipment (stage, rigging, drapery, seating, electrical connections, translation booths), audiovisual package (light, sound, video, audiovisual staff), etc. In this technical sheet, you will find all the details about the Silver Hall : total capacity, total surface(height, length, width), built-in equipment (stage, rigging, drapery, seating, electrical connections, translation booths), audiovisual package (light, sound, video, audiovisual staff), etc. In this technical sheet, you will find all the details about Hall 300: total capacity, total surface(height, length, width), built-in equipment (stage, rigging, drapery, seating, electrical connections, translation booths), audiovisual package (light, sound, video, audiovisual staff), etc. In this technical sheet, you will find all the details about Hall 400: total capacity, total surface(height, length, width), built-in equipment (stage, rigging, drapery, seating, electrical connections, translation booths), audiovisual package (light, sound, video, audiovisual staff), etc. In this technical sheet, you will find all the details about Hall 100: total capacity, total surface(height, length, width), built-in equipment (stage, rigging, drapery, seating, electrical connections, translation booths), audiovisual package (light, sound, video, audiovisual staff), etc. In this technical sheet, you will find all the details about the Gold Hall: total capacity, total surface(height, length, width), built-in equipment (stage, rigging, drapery, seating, electrical connections, translation booths), audiovisual package (light, sound, video, audiovisual staff), etc. In this technical sheet, you will find all the details about the Copper Hall: total capacity, total surface(height, length, width), built-in equipment (stage, rigging, drapery, seating, electrical connections, translation booths), audiovisual package (light, sound, video, audiovisual staff), etc.